They say dogs are a man’s best friend and incredibly loyal animals, but do you know what’s really going on with your dog? In theory, it can be hard to know what an animal is feeling or thinking, as they can’t communicate with speech, but in fact dogs reveal their emotions a lot more than you may think. As with humans, we can tell a lot from their body language. Here, we put together a helpful list of signs that your dog may be using to show you just how they are feeling. When you know what your beloved pet is trying to say, it becomes a whole lot easier to ensure they remain happy and healthy. Happiness is probably one of the easiest emotions to decipher, and as we want our dogs to be as happy as possible, it’s one we’re sure you’ll endeavour to maintain. Once you know what makes your dog happy, it’ll be easier for you to replicate this feeling and keep your pooch content. It’s especially important to understand when your dog is happy because if you confuse this with another, less positive emotion, you could be causing more problems for your pup. Behaviours associated with aggression are easily misconstrued, but as it’s one of the most difficult emotions to understand and explain, it’s important to keep your eyes peeled for if your dog begins to turn aggressive. This can help you keep them under control and stop aggression leading to any kind of physical attack. Whilst stress is part and parcel of life, it’s not an emotion that any of us particularly enjoy experiencing, dogs included. Our canine friends can show stress and fear in a multitude of ways but it’s usually environmental influences that cause your dog to be afraid. When you understand how your dog is feeling, you can look to remove some of the factors causing this and alleviate the negative emotions. Seeing a dog run around full of glee is a joy to watch and ensuring that your dog stays positive and enthusiastic is part of fostering their playful personality. Once you identify what makes them excited, it’s easier for you to ascertain that if they’re running around, wagging their tail and barking, it’s not in a negative or intimidating way. This is an emotion we’re sure you’d never want your dog to feel as most dog owners go out of their way to ensure their canine companion is as happy as can be. However, dogs can experience feeling down in the dumps just as humans can. It’s vital for you, as a dog owner, to recognise these signs in order for you to help your pooch feel happier again. Good communication can show a mutual sign of love, respect and trust, so keep your eyes peeled for the different types of body language your dog is showing – chances are they are trying to tell you something. Created by Time for Paws, an online pet store for dogs and cats. Is your Staffie’s name more common than you thought? 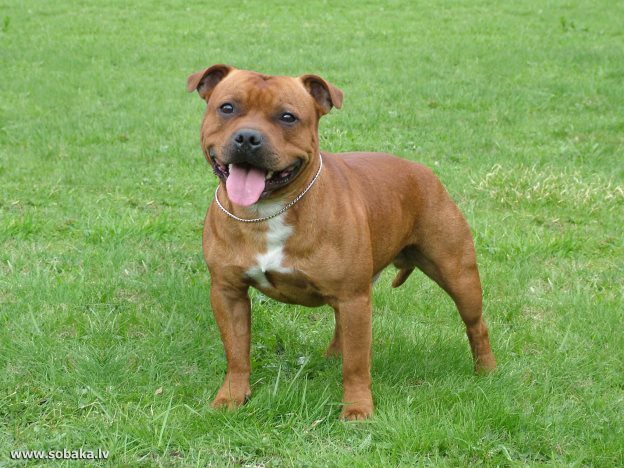 We’ve just got our paws on the list of Britain’s favourite Staffordshire Bull Terrier names. The list, compiled by insurance company Bought By Many, was created by analysing tons of data from their fans on Facebook, and there are some rather surprising names in there. 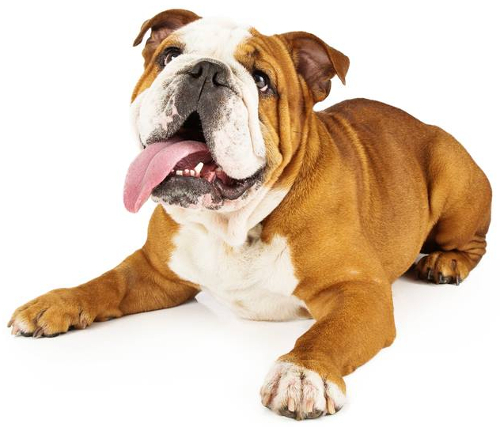 You may want to use the list for inspiration if you’re planning on owning a Staffordshire Bull Terrier or if you want to avoid your dog having the same name as other pets in the park. Do you spend a fortune on your pampered pooch? 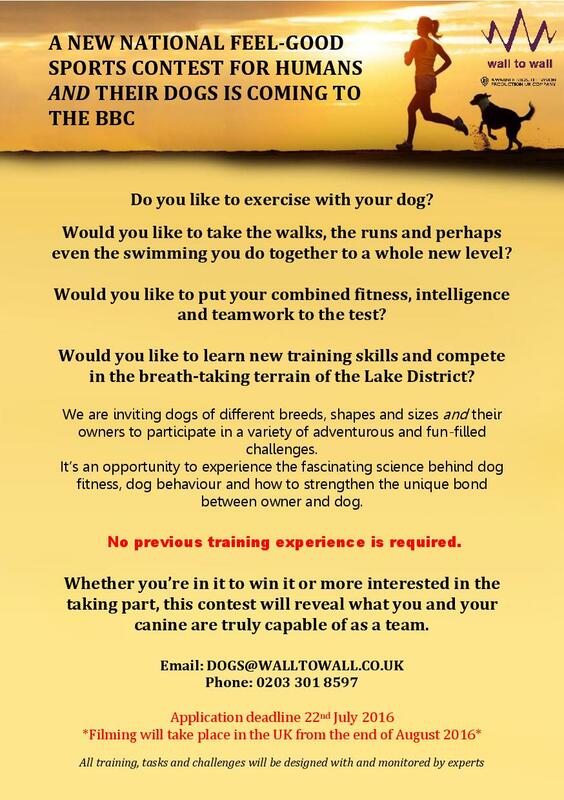 TV Casting Call: Do you spend a fortune on your pampered pooch? 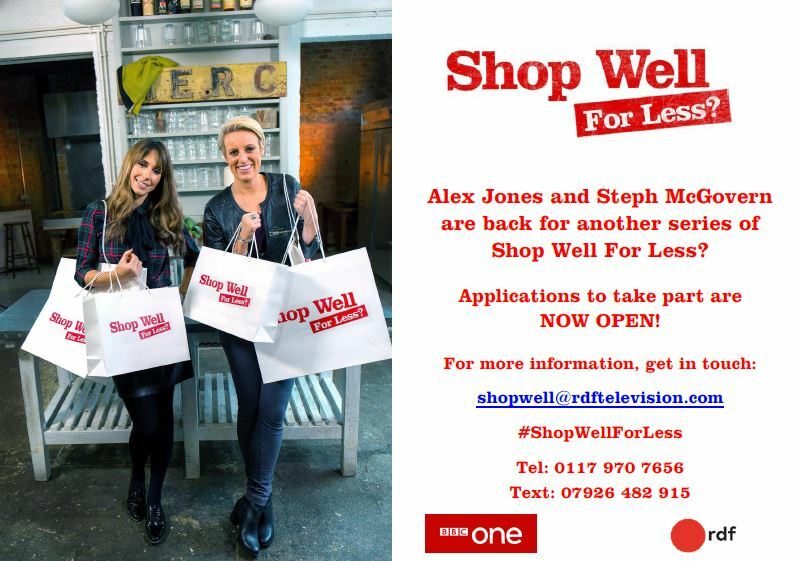 ‘Shop Well for Less?’ are looking for people to take part in the new series! Please get in touch if you’d like more information! Dogs have been our heroes and protectors dating back to almost the beginning of time. From pre-historic cave drawings to some of the first recorded examples of canine companions, these ancient tales have shared some shining examples of our beloved four-legged friends. For example, during ancient days around 300 BC, there was a tale of the mighty King Pyrrhus of Epirus that used dogs to identify killers by using their advanced sense of smell. Fast forward to the middle ages and in the fourteenth century, King Louis the XI, used his dogs as a tool for recognizing potential threats to his empire that would notify him of “stranger danger” well in advance of their approach. But much has changed over the many hundreds of years since the days of those kings and their dogs. Now canines being used to enhance the lives of disabled people, aid our military and police forces, even save lives by spotting potential health risks in humans. While dogs themselves are susceptible to many different types of cancer, they are using their advanced and unique sense of smell to detect this deadly disease. Dr. Claire Guest had a dream of working with dogs and training them to sniff out different types of cancer either through skin, urine or other bodily fluids. Although her research and results seemed promising, she had hit an impasse with the rest of the medical community who dismissed her beliefs as poppycock. One cloudy evening in February of 2009, Claire took her pet Daisy out for a ride in the car and when she opened the boot to let her dog out, the animal wouldn’t budge. While two other dogs along for the ride happily exited the vehicle and headed for the park to play, Daisy stood her ground in the back of the automobile. 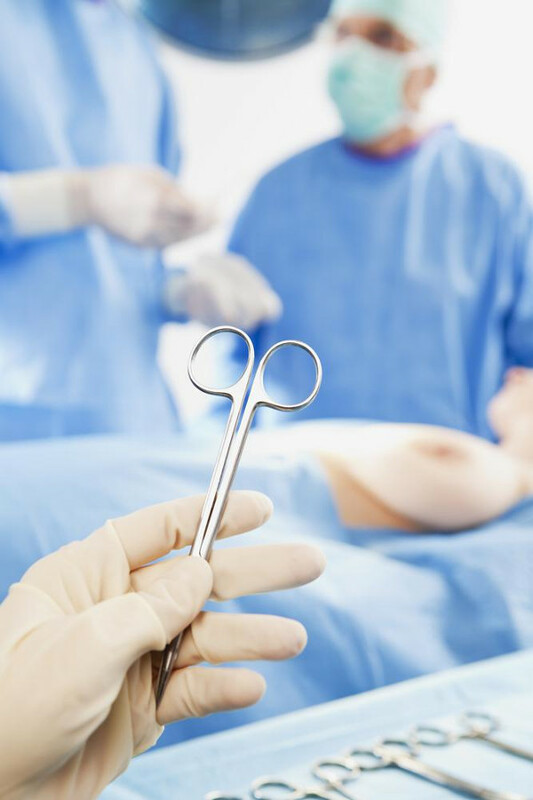 “Daisy seemed to be pawing at my chest,” recalled Dr. Guest in an interview with The Daily Mall. “She bumped against my body repeatedly – I pushed her away, but she nuzzled against me again [she was] clearly upset.” Apparently her usually docile dog had pushed so hard against her it left a bruise and Claire couldn’t help feeling something was either wrong with her dog or there could be a problem inside of her own chest. Just as Claire began to doubt her own research and dash her dreams of dogs that could detect cancer, her own labrador not only saved her life, but also reignited her passion. Seven years later, Daisy has sniffed around 6,000 urine samples, detecting over 550 cases of cancer and has a 93% accuracy rate. Dr. 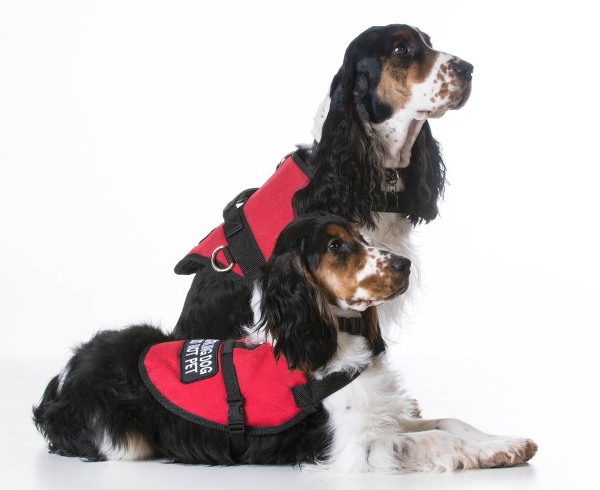 Guest continues her work through her charitable organization, Medical Detection Dogs, where she’s working with over a dozen other dogs to perform the same type of miracles that Daisy does.